The fall season is a popular time for family portraits. The outdoor temperatures are just right (not too warm, not too cold), the changing environmental colors are beautiful, and a lot of families take advantage of the time between the busy summer and busy holiday season to update their portraits. When my cousin from Nashville, TN asked me about taking his beautiful family's photos, I was so excited. 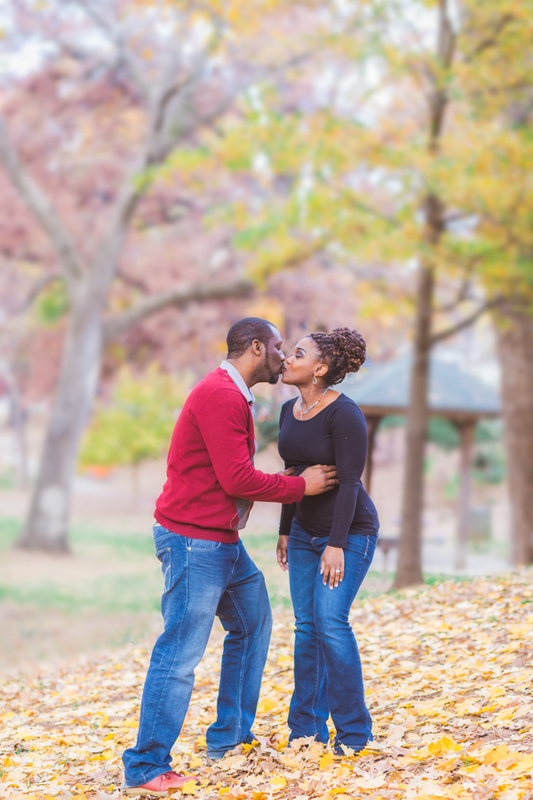 I found out that they would be traveling to the Charlotte area for Thanksgiving, so that would be the perfect time for us to get together for their photo session. I also found out that it had been a few years since their last full family portraits (hey, life gets in the way like that sometimes), so that made it even more special. We met at Independence Park in Charlotte, NC on the Saturday after Thanksgiving. As we had hoped, the weather was beautiful, as was the entire family. Here are a few of my favorite photos from their session. Sharetha Monique is a maternity, newborn, child, and family portrait photographer in Charlotte, NC. Follow me on Instagram: @sharethamoniquephotography or join my private community on Facebook. To keep up new content, and stay informed of exclusives and special offerings, sign up for my newsletter! Thank you so much for reading this blog post! I love featuring my clients’ images on my blog (as well as some personal favorite images), and this will give you a glimpse into what you will receive when you commission me for your Charlotte Family and Children’s Photography. If you would like to see what an entire gallery looks like, please don’t hesitate to ask. Some of my favorites are posted here, but all of the images you receive are worthy of being in a frame, an album, or displayed on your walls! For pricing information, please click here. If you would like to reserve your date on my calendar, please fill out my contact form or email me directly at sharetha@sharethamonique.com. Capturing a family’s story and creating beautiful images brings me tremendous joy, and I would be honored to capture yours!